This story, first published Wednesday morning, was updated Thursday with a statement from a National Guard spokesman. 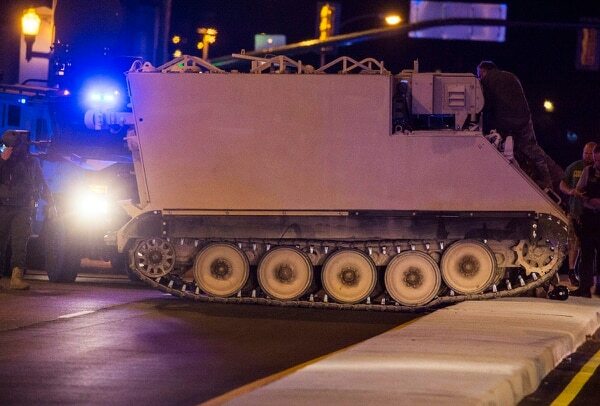 RICHMOND, Va. — An Army National Guard officer accused of stealing an armored personnel carrier from a Virginia base said he had permission to take the APC, but Guard officials denied that on Thursday. 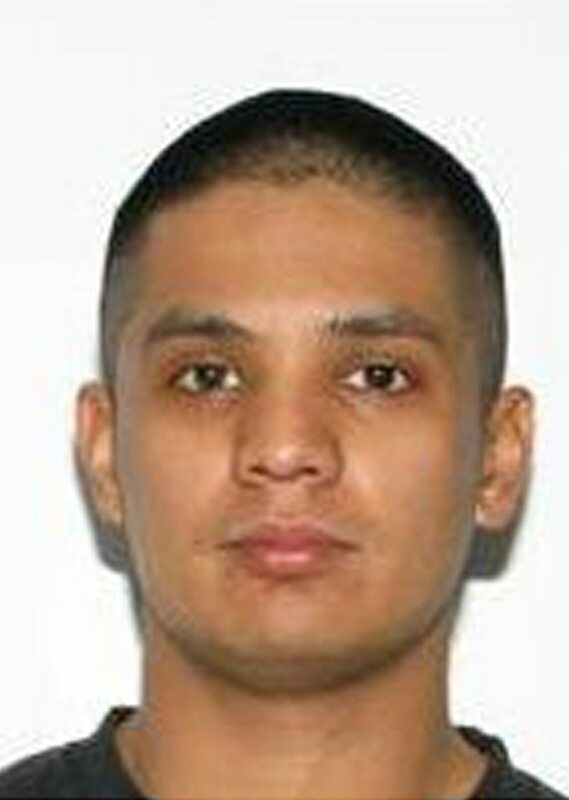 1st Lt. Joshua Philip Yabut, 29, of Richmond, was charged with eluding police and unauthorized use of a vehicle, the Virginia National Guard said in a news release. He is accused of leading police on a more than 60-mile (100-kilometer) chase while driving under the influence of drugs, police said Wednesday. The vehicle, which drives on tracks like a tank, was stolen Tuesday evening from Fort Pickett in Blackstone. Police chased it for about two hours at speeds as high as 40 mph (65 kph) before the driver stopped and surrendered near Richmond City Hall, Virginia State Police said. The Guard said the personnel carrier was driven away during routine training at Fort Pickett and has been returned to the base. The vehicle wasn’t equipped with any weapons, but Yabut had his personal weapon with him without any ammunition, the Guard said. Police said an investigation is ongoing and declined to comment on a motive for stealing the vehicle, but said Yabut was under the influence of drugs when he was arrested. In a Wednesday evening phone call from Virginia’s Central State Hospital, Yabut told The Associated Press he was authorized to take the vehicle on a pre-planned route as part of a training exercise to gauge the police response. Yabut said his brigade commander, who he declined to name, told him to take the vehicle. The psychiatric hospital is in Petersburg, Virginia, and its patients include people receiving court-ordered mental health evaluations and treatment. 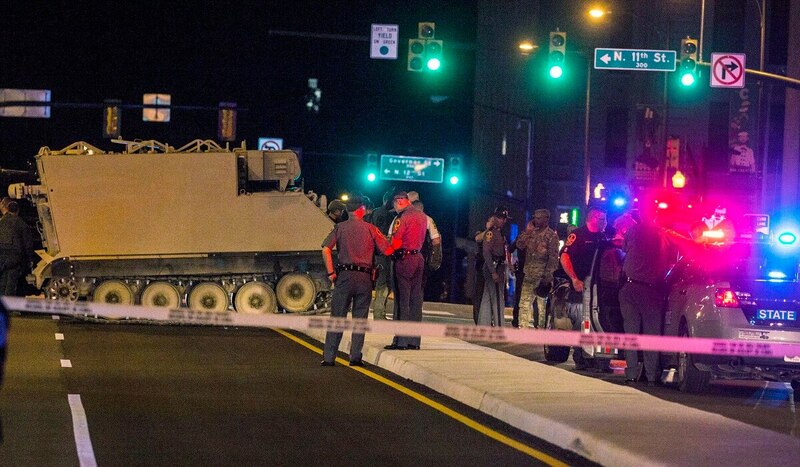 But a spokesman for the Virginia National Guard is refuting Yabut’s claim that he had been ordered by his brigade commander to drive an armored personnel carrier off base. Guard spokesman A. A. “Cotton” Puryear says Yabut’s claim is not true, the Associated Press reported on Thursday. He says the officer was not authorized to drive the carrier off Fort Pickett “to any location for any reason,” and that there was no exercise to gauge police response. Yabut also denied authorities’ claim that he was under the influence of drugs during the incident. “That’s a big ‘NO’ with capital letters,” he said. No bond was set when he appeared earlier Wednesday in Richmond General District Court via video link from the city jail. Yabut’s attorney, Assistant Public Defender Thomas Wieworka, did not immediately return a call seeking comment. The Guard said Yabut is a first lieutenant assigned as company commander of the 276th Engineer Battalion and has more than 11 years of service. He deployed to Afghanistan from 2008 to 2009 with the Illinois National Guard. “We are extremely grateful that there were no injuries as a result of this incident, and we appreciate the great work of the Virginia State Police, Richmond Police Department and other law enforcement and first responders who safely brought this situation to a close,” Maj. Gen. Timothy P. Williams, the adjutant general of Virginia, said in a statement. Michael Finneran, a spokesman for the NASA Langley Research Center in Hampton, said Yabut worked there in a civilian job in the office of the chief information officer from 2014-2017. Yabut also previously worked as a developer for ZenCash, the cryptocurrency company said in a statement Wednesday. Yabut was a developer in the project’s early stages, and he “intentionally made public a method” of attacking the system, which was a “vulnerability” that he coded in, according to the statement. Representatives of the company, which said in the statement that it had mitigated the vulnerability, didn’t immediately respond to further questions from The Associated Press. Yabut was being held at the Richmond jail. Attempts to reach his defense attorney or family members who could comment on his behalf were not successful. Yabut seemed to foreshadow the theft and chase in Twitter posts Tuesday. Hours before the vehicle drove off the base, an account confirmed by the Guard as Yabut’s tweeted a Wikipedia entry about the M113 armored personnel carrier, which is similar to the M577 vehicle police chased, and a screenshot of a map around the area where the vehicle eventually stopped. Minutes after police began their pursuit shortly before 8 p.m., Yabut posted a photo and video of himself in what appears to be the stolen vehicle. Attempts to reach Yabut's family members were not successful. In February, Yabut filed papers to run as an independent candidate for the U.S. Senate seat currently held by Tim Kaine. Yabut is due back in court on July 11. Associated Press writer Sarah Rankin contributed to this report.